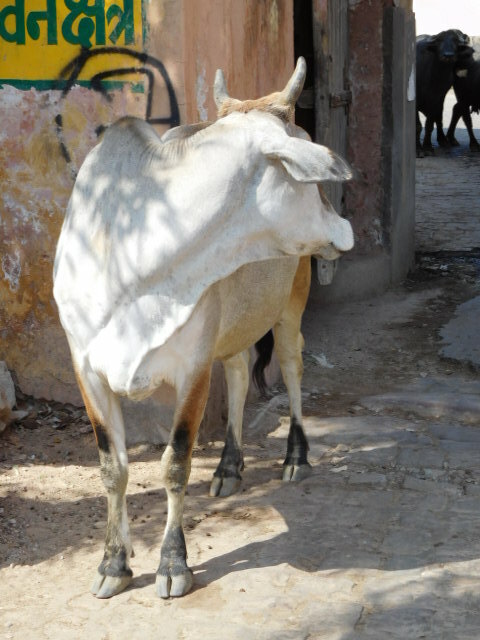 To set the scene a sacred cow, revered by Hindus, free to roam, tranquil in the knowledge that no-one will touch her. 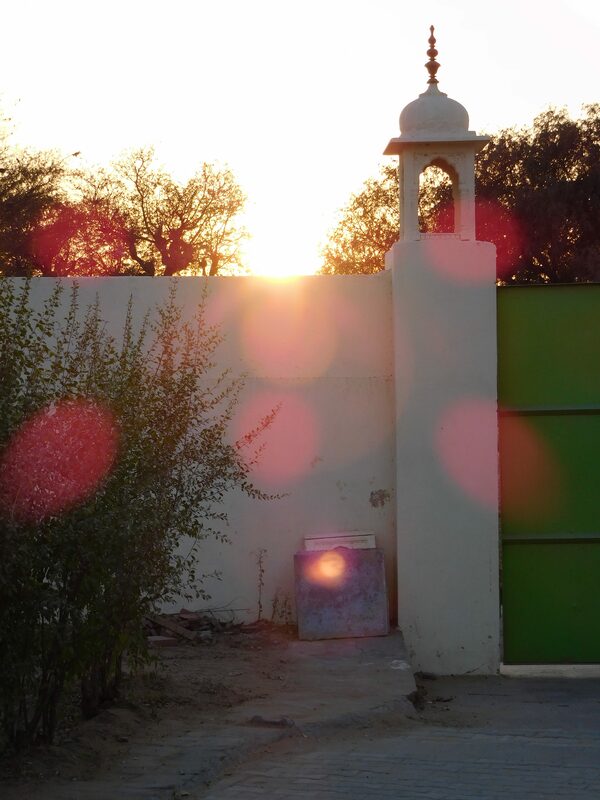 Today, we visit the quiet village of Bagru, a few miles from from Jaipur. 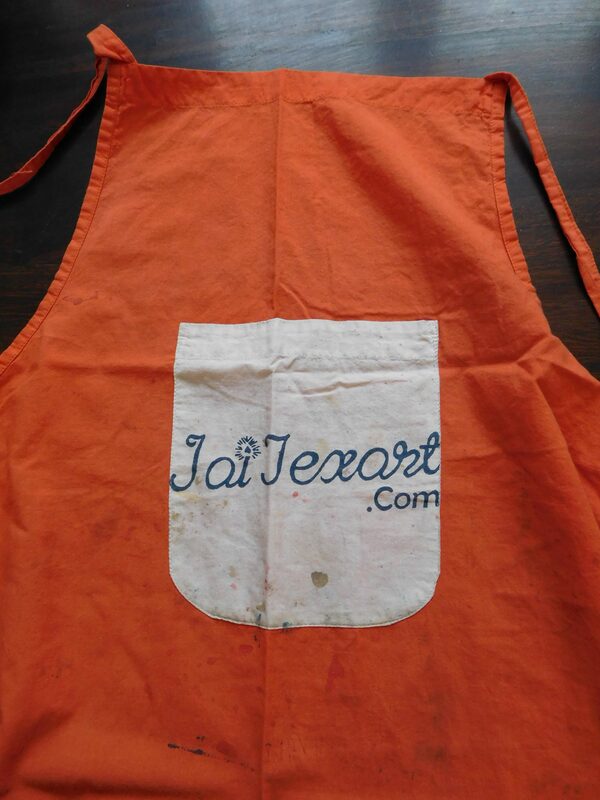 A small traditional fabric printing company JaiTexArt, creates beautiful cloth by hand in a traditional way. 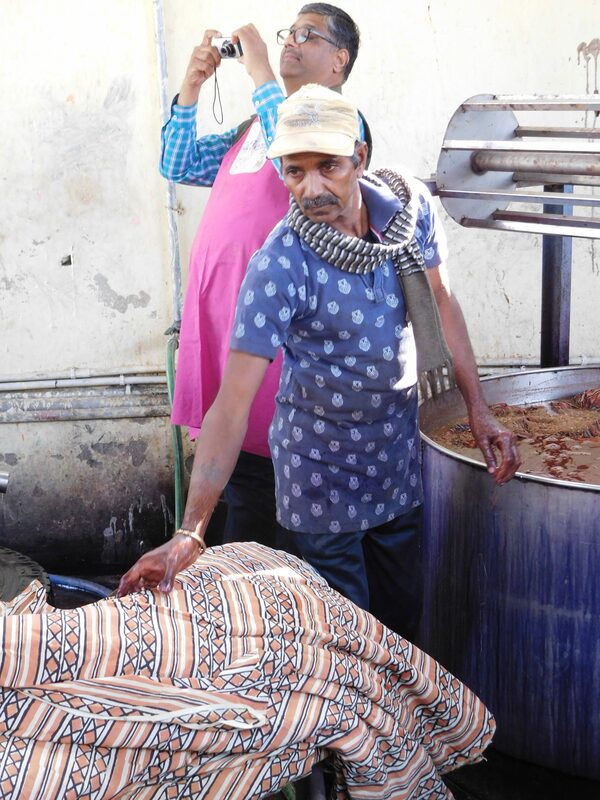 They use natural dyes made from plants. We are here to experience two days of fabric printing, guided by people who have been designing fabrics all their lives. We are welcomed with chai, we chose an apron – my favourite colour orange. Go into the printing shed, cool, calm and so exciting ! There are shelves of exquisite, wooden carved printing blocks – Islamic influenced geometrical patterns, stylised plant shapes, narrower block for borders – which to choose? For me, camels, walking in opposite directions, and a border pattern that looks like camel hooves.. why not. My apron for the printing workshop. 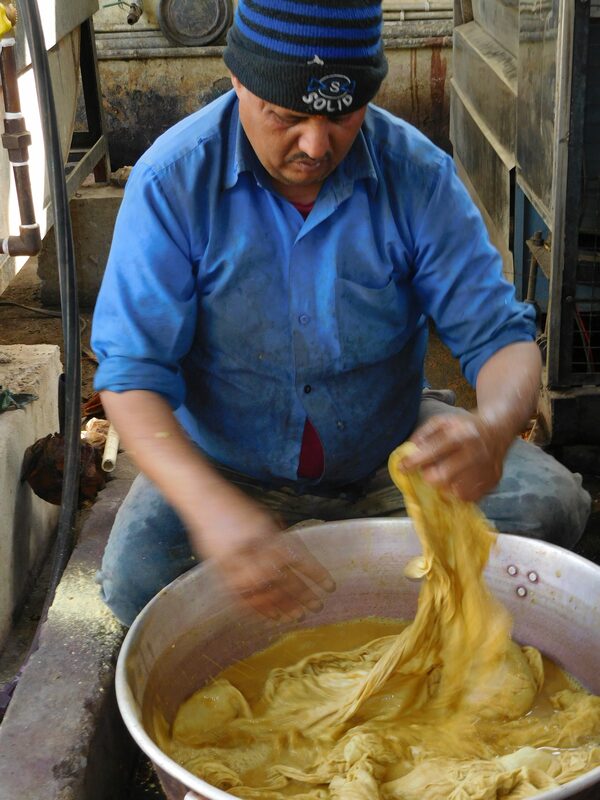 The team, steeping and washing fabric as part of the printing process, all by hand. 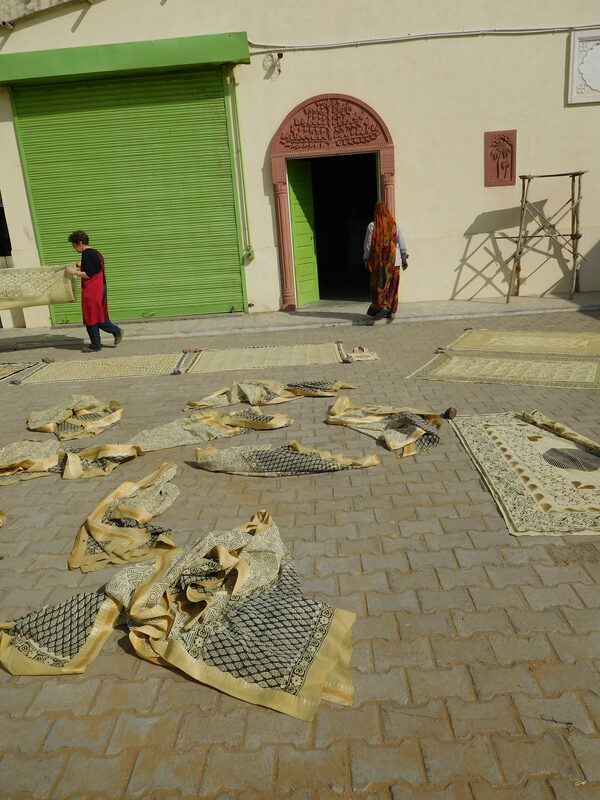 For example, block print the calico, dry it in the sun, wash it, print again, dry again, wash again. 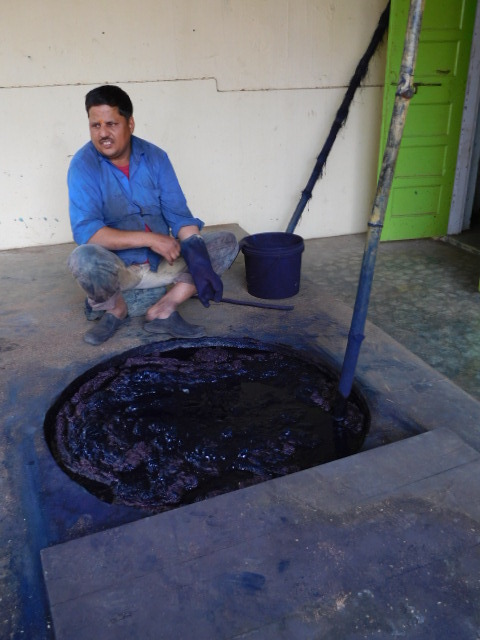 This is the indigo dye vat – makes me think of ancient vats, and of wode that my Celtic ancestors used to colour their bodies with, I believe. Strong stuff indigo, immerse your cloth for 90 seconds to get mid-blue, second dip gets you blue jeans blue. 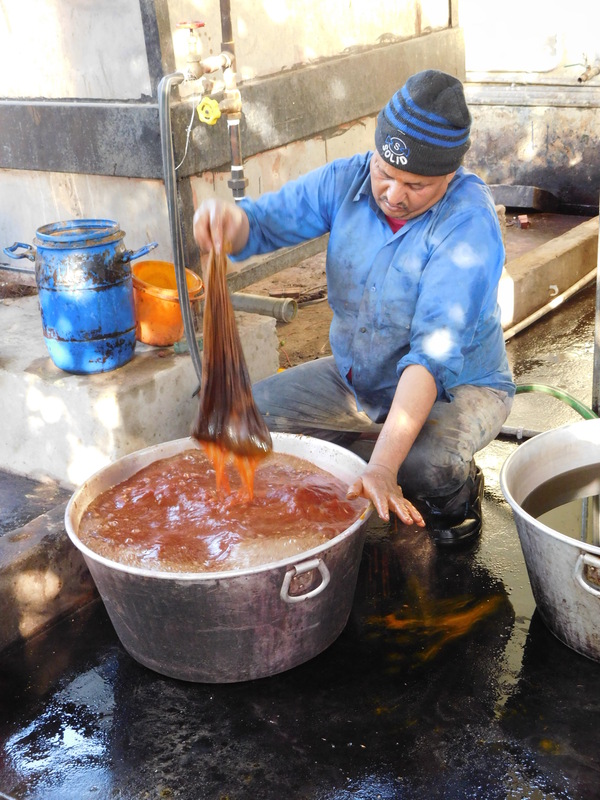 You block print your calico with very fine mud, dry it in the sun, then pop into the vat. The mud dissolves in 90 seconds, sinks to the bottom of the vat. Cloths drying in the sun. 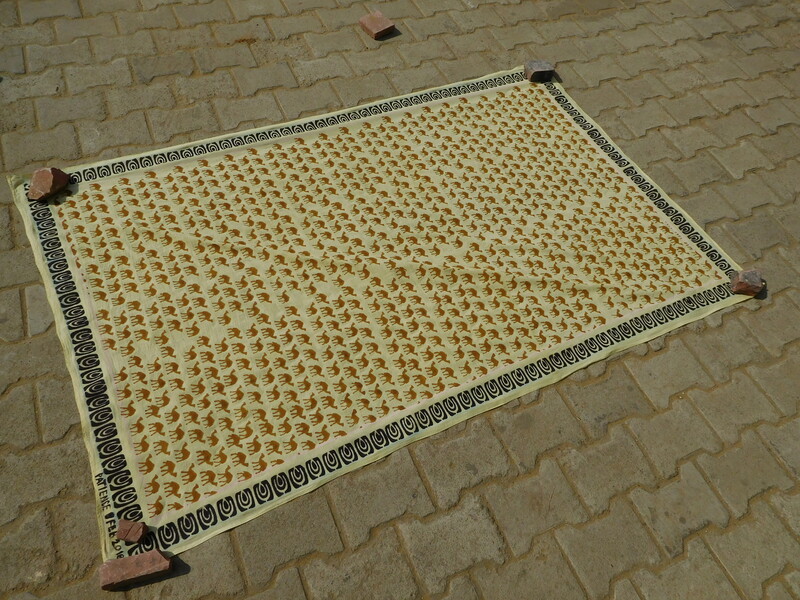 My ink block printed cloth, many camels. Great. Did you get to keep the fabric? Lovely to have as a reminder of your trip if you did. Yes, I came home with my ‘camel’ print and an indigo block print. Very pleased with them !